We believe that an important way for participants to improve personal growth and achieve greater communication and life skills is by peers helping peers. We facilitate this experience by having numerous dynamically-oriented psychotherapy groups and groups where Gestalt-oriented principals are used such as our InVivo Group where participants improve social and communication skills through role-playing. The dynamics that occur when people live together in many ways mirror the dynamics that occur within family conflicts. We hold Milieu meetings so participants can discuss issues unique to their living environment and issues related to their abilities to share space and responsibilities with others. We have an InVivo or Social Skills groups so participants can explore their unique developmental and social skills issues. Techniques such as role playing and behavioral rehearsals are utilized. We have a women’s group, a Music and Emotions group as well as many groups that focus on addiction issues such as computer addiction. Your treatment may reach the point where your therapist feels it would be beneficial for you to share your story with others and learn from others in an open, honest and nonjudgmental environment. This is known as group psychotherapy. Group therapy sessions are often focused on addressing one main problem common to all its attendants (but other, related conditions may also be discussed). Sessions are usually attended by up to 12 patients and one or two therapists. The sessions can be conducted in hospitals, churches, community centers, mental health clinics, or other safe and welcoming places. Some participants attend group psychotherapy for up to a year or more, but many patients attend group sessions for a few weeks or months as they progress through the more intense period of their recovery. What Does Group Psychotherapy Do? One of the goals of group psychotherapy is to give you, as the patient, hope. A powerful factor in struggling with a mental health disorder or drug addiction is that you feel alone and isolated. Group psychotherapy introduces you to other people who have been in your shoes, or who are in your shoes, showing you that no matter how devastating your battle, you always have people who understand exactly how you feel. Another effect of this is that you will be able to talk to people who are further along in their recovery than you are right now. Getting the perspective and story of someone who has actually been through what you’ve been through and still managed to come out on top can give you something to work towards. Also, being in a position to impart wisdom and experience to newer members of the group can make you feel empowered to continue your recovery. Your own journey could become inspiring to people who are just starting theirs. This, in turn, might motivate you to overcome the temptation to use again, or the fear of succumbing to depression or an anxiety attack. Group therapy sessions also provide you with an experienced support network to keep you accountable. While your friends, family and therapist may offer to help in any way they can, they might not be able to relate to the experience of resisting a relapse. Your contacts in your group therapy sessions, however, know exactly what that’s like. They may encourage you in just the way you need during a session – because they’ve been through the same thing themselves. Who Conducts Group Psychotherapy Sessions? Group psychotherapy sessions are led by certified and experienced psychologists. They are trained in the nuances of group dynamics (as well as whatever fields of psychology deal with the common condition in the group that they conduct) and marry that with a desire to help people. Psychologists should have master’s or doctoral degrees from reputable universities, and they have undergone extensive testing and training in order to be licensed to convene group psychotherapy. Group therapy sessions can also be conducted by social workers, psychiatrists, or other health care professionals. One therapeutic approach that can be part of overall group psychotherapy is called interpersonal therapy, or IPT. As the name suggests, IPT focuses on interpersonal relationships. 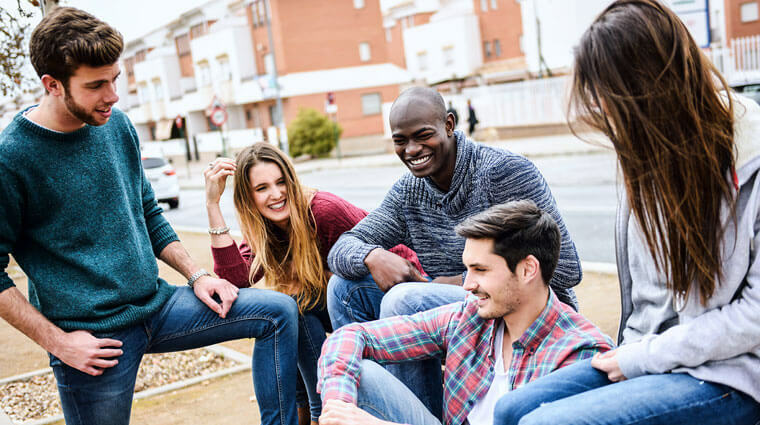 The therapy helps you restore dynamics of friendship, trust, understanding and reasonable expectations that may have been negatively affected by your mental health disorder or substance abuse problem. Group psychotherapy provides a safe, welcoming and controllable place for the mechanics of interpersonal therapy to be exercised. A therapist might help you identify the behavior that damaged your pre-therapy relationships, and then further identify the emotion(s) driving that behavior. The therapist might suggest a more productive and healthy way to address whatever caused those negative behaviors, and a fellow therapy attendee might become a role-playing partner for you. As the therapist curates interpersonal therapy, you will understand better and more beneficial ways of dealing with the issues that brought you to therapy, especially with regards to how they affected the way you interact and relate to others. Seeing the positive effect your new words and actions have on your role-playing partner could be a significant breakthrough. This kind of activity would not be as easily achieved in an individual psychotherapy session.